Our Captured Moments highlight video is set to music of our choice and lasts around 2-3 minutes encapsulating some of the most memorable moments from your day. You can add them to your package subject to availability please ask and we can advise you of the price. If you choose to book separate videography we are, of course, able to work with them but we do ask that they don't tag along during your personal portrait sessions with us as we have had a number of bad experiences and it's just too distracting for you (and us) not knowing who to look at and so on. Below are a selection of links to captured moment cinamatic movies in subtly different styles for you to enjoy. Jo and Jason's Lulworth Castle Wedding from Lawes Photography on Vimeo. 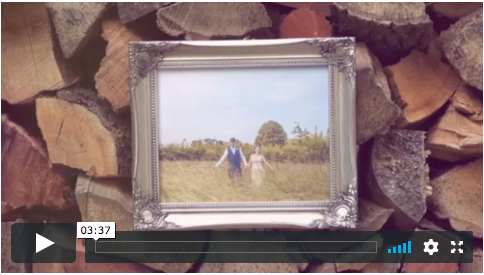 Clock Barn Wedding from Lawes Photography on Vimeo. East Close Hotel Christchurch Videography from Lawes Photography on Vimeo. 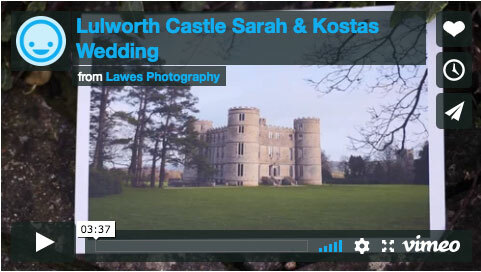 Lulworth Castle Sarah & Kostas Wedding from Lawes Photography on Vimeo. 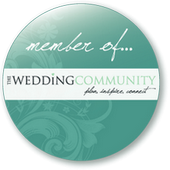 Parley Manor Wedding from Lawes Photography on Vimeo. 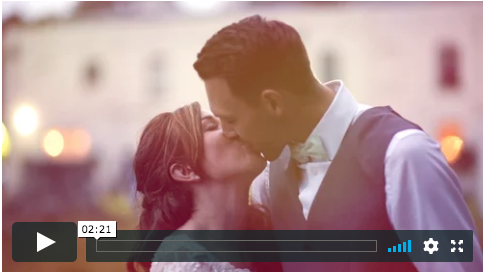 Larmer Tree Wedding from Lawes Photography on Vimeo.